Mold can happen just about anywhere, from your kitchen cabinets to the quilt tucked away in the back of your bedroom closet. Moisture is the cause of mold and even if you are careful this growth can occur on anything in your home. 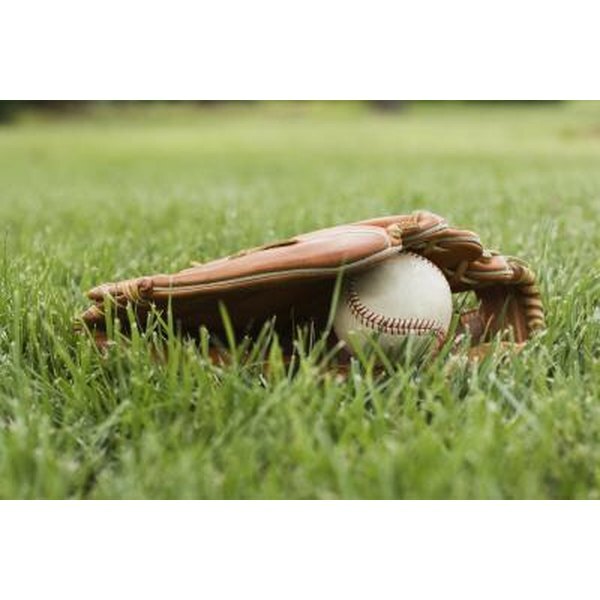 If you or your child is an avid baseball player, you know how expensive the equipment can be. If mold grows on a baseball glove, it is possible to clean it off so it is as good as new and ready for the next nine innings. Brush off the glove with a stiff nylon brush. Make sure the glove is completely dry before doing this so the mold is able to be lifted from the item. Mix together equal parts vinegar and water together in a small bowl. Soak a soft piece of cloth with the vinegar mixture and wipe the cloth on the surface of the glove, making sure to get into all the creases and around the leather stitching. Allow the glove to dry and recondition the leather with glove oil or petroleum jelly by rubbing either one of these products over the entire glove with a clean cloth. Avoid mold by storing your baseball glove in a cool, dry place.